How can you help the honey bees? Did no one see the bee movie? Disregard the stranger parts but essentially the plants and flowers stop getting pollinated and they die! It is vitally important to keep bees going or we’ll end up finding out ourselves if Einstein was correct. His quote was largely in conjunction with warning about colony collapse disorder usually brought on by patristic mite varroa destructor which has led to spread of disease if left unchecked. 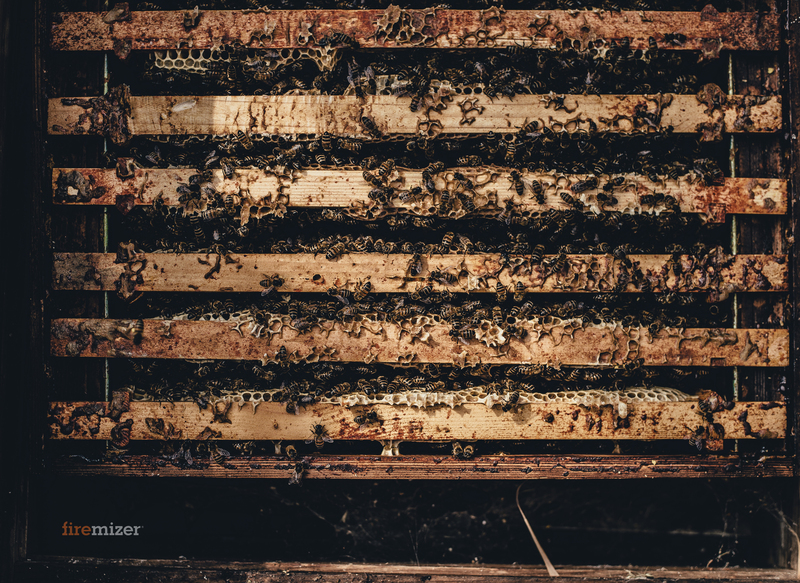 Beehives managed by beekeepers fare much better, as they can be treated for the disease. 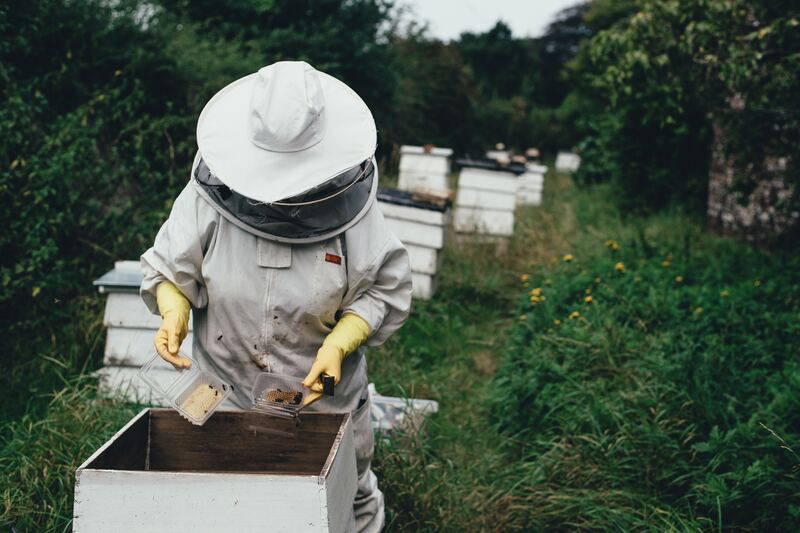 However, research shows there are no truly wild honey bee colonies left in England and Wales due to varroa mite. You can plant some bee-friendly flowers, you don’t need a big garden, a windowsill planter will do! Some plants, lavender, thyme, sunflower, poppy, buttercups. Fancied your own beehive? Take up beekeeping as a new hobby! Contact your local association and they will give you all the information and help to get started. Don’t want to get messy? Adopt a beehive! Go to The British beekeepers association and you can easily adopt a beehive on your choice! 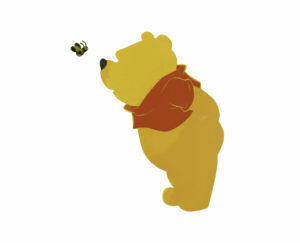 Please, do your bit to help the bees, so we can enjoy the planet while we’re all still alive! 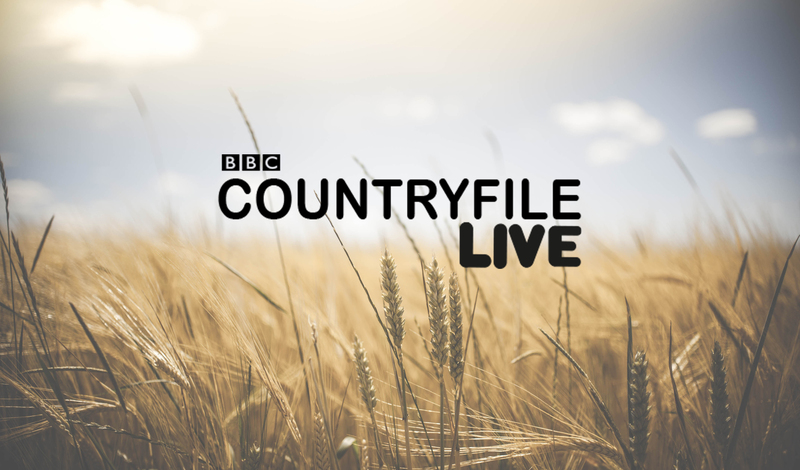 This past weekend Countryfile Live returned to Woodstock for the third successive year, celebrating their 30th anniversary and hosted ‘world’s biggest country fair’. While it was The BBC’s third event, it was our first and the crowds didn’t disappoint! Even with rising temperatures, the family-friendly atmosphere enticed an estimated 120,000 people over the four days. The STIHL Timber sports, situated not too far away the timber championships had begun and we heard more than we saw, the delightful tones of chainsaws accompanied by a classic rock soundtrack and the notable phrase ‘stand to your timber’. Secondly, the wildlife zone, a pop-up nature reserve with beehives, butterflies and bird nests. Across from this, there were volunteers handing out paper butterflies for people to write what they can do to help the environment. Once you’d written one, you were given a pack of butterfly-friendly flower seeds. Finally the shopping village, we couldn’t resist exploring what treats were on offer and we were spoilt for choice, car merchandise, delicious food and Knick Knacks. Over the weekend temperatures rose to 29 degrees, this normally wouldn’t bode well for selling a fire product, however, this didn’t stop us! Stood in our black gazebo armed with dragon stickers, leaflets and buckets of knowledge, we were ready! 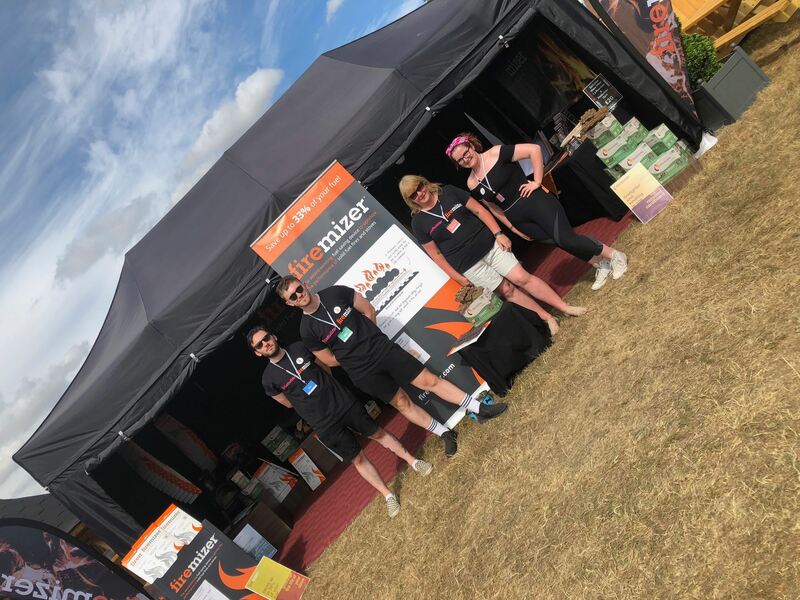 It was great to speak to curious and some sceptical customers about the simplicity of firemizer, encouraging them to think about their fire appliances. 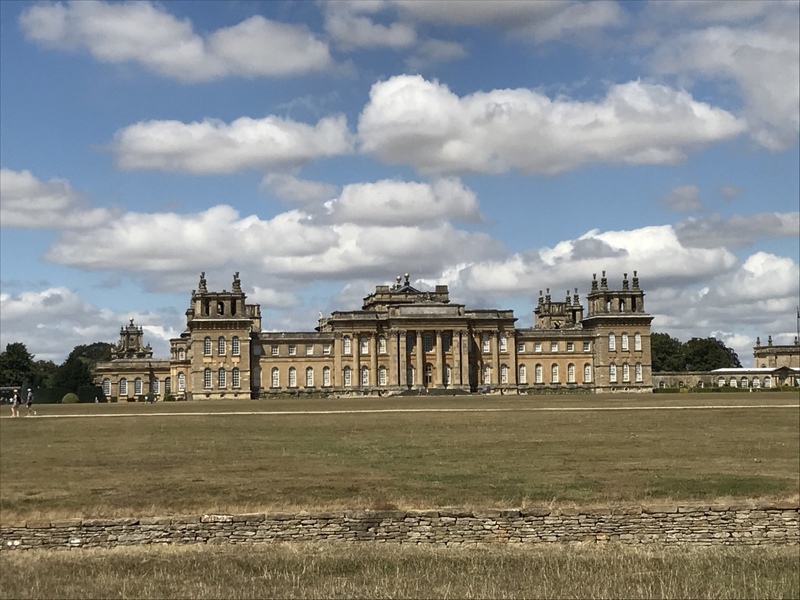 Around the grounds of Blenheim Palace, were stages with an assortment of entertainment and live music, including a variety of brass bands playing musical show tunes and modern classics, spreading feel-good vibes all across the event. If you’ve already started planning to visit next year, we might see you there!